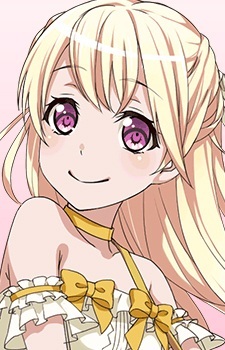 Shirasagi Chisato is a second-year student and is a member of Pastel*Palettes. She is polite and very responsible. Prior to joining Pastel Palettes, she was a child actress and did not know how to play the bass. Outside of the band, she is also friends with Matsubara Kanon and Seta Kaoru. She makes a cameo appearance in the third episode of the BanG Dream! TV series.